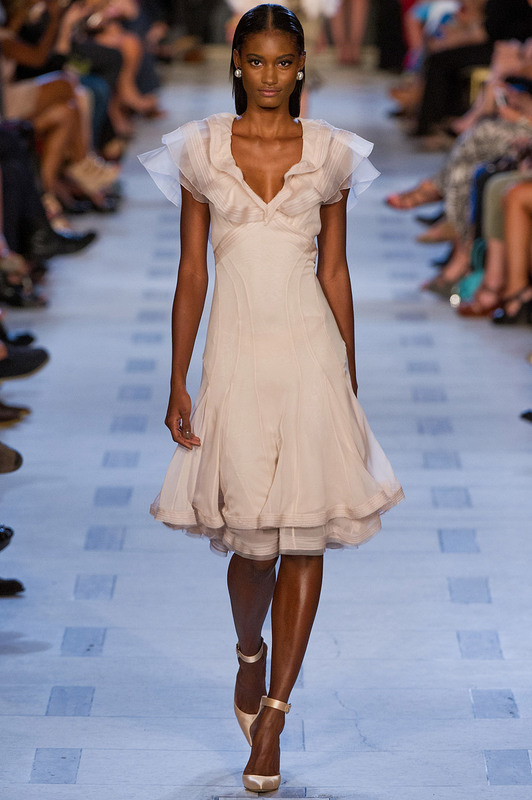 Zac Posen took a step back with his spring 2013 collection, in more ways than one, and the result was undeniably, and in a single word, lovely. 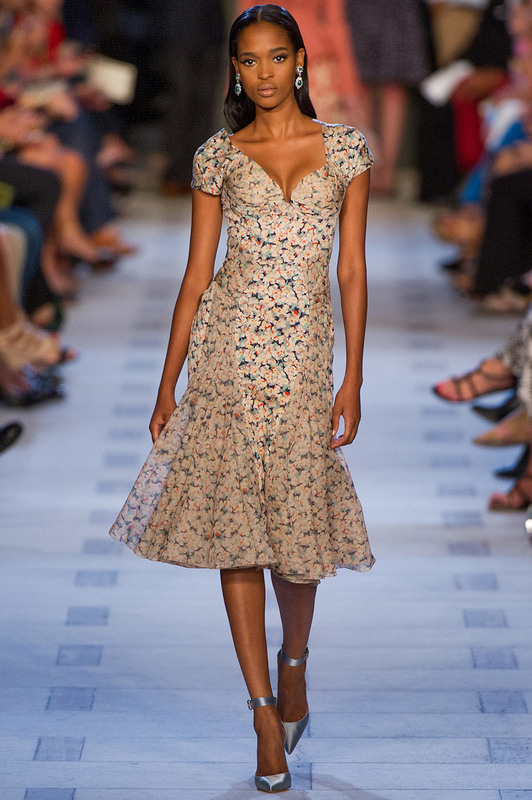 Known for his vast technical skills, and for oftentimes using too many in one garment, Posen showed a sharper focus this time- creating a light, elegant, and romantic collection inspired by the America of yesteryear. 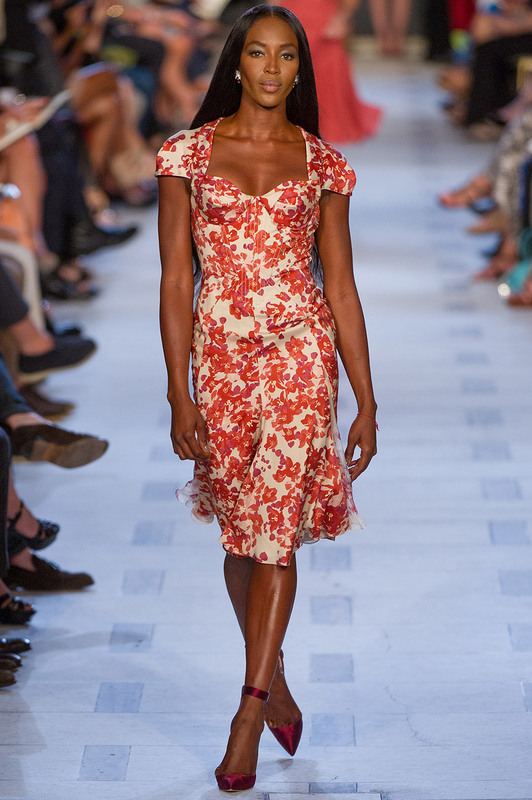 Even the models were vintage- Naomi Campbell and Karolina Kurkova walked the Sunday evening show. 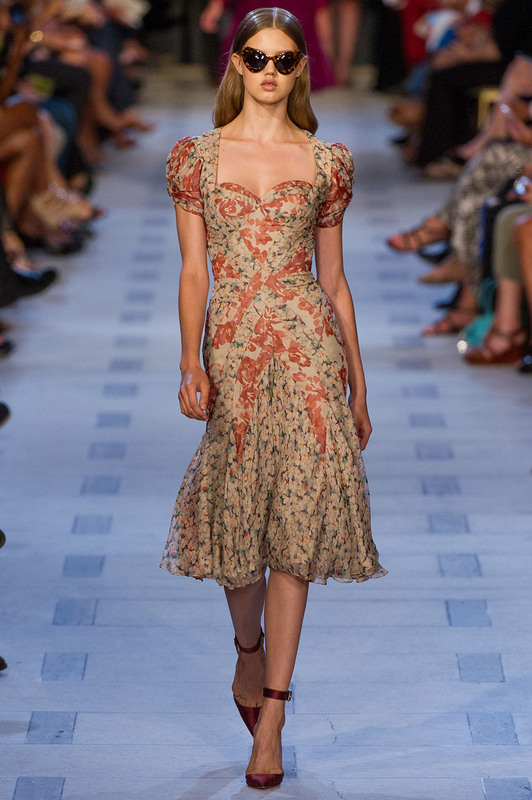 A common theme in several spring 2013 ready-to-wear collections, in both New York and Paris, was reflecting on the fashion house’s past. For Posen, still a relatively young name, looking at the early days of the label in the 1940’s, 50’s or 60’s simply wasn’t an option. 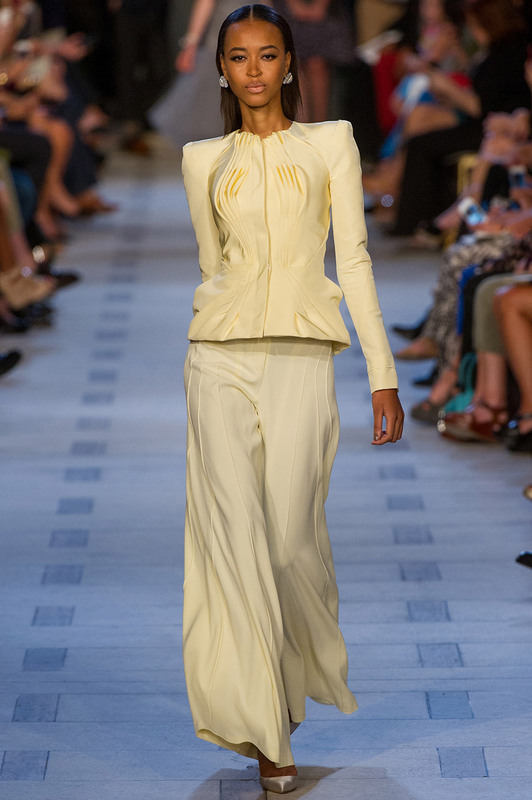 So, he drew his inspiration from the American beauties of the past, including icons like Grace Kelly and C.Z. Guest. While the majority of the pieces brought the 1940’s to the modern woman, a few did seem too true to their time and stuck in the era. Before the show began, Posen explained his vision for both his collection and show.“The show is about glamour, elegance, and craft,” he said. This goal was met best by his collection of gowns, his clear favorite, that closed the show and tied together a strong collection. A celebrity favorite, Posen’s latest work is timeless and sure to be a hit with both the red carpets of winter and the stylish woman of everyday. “Zac Posen brings larger-than-life style to his Target collection, creating a covetable line with a modern edge,” said Trish Adams, senior vice president, Target. Posen will launch an exclusive collection on Target.com/go and at most Target stores nationwide on April 25, 2010. The collection is composed of day wear, suting and evening wear for sophistacated, chic women of a variety of age groups. Working in the industry since the age of 16, Posen opened his first studio in NYC at the age of 21 in 2002. 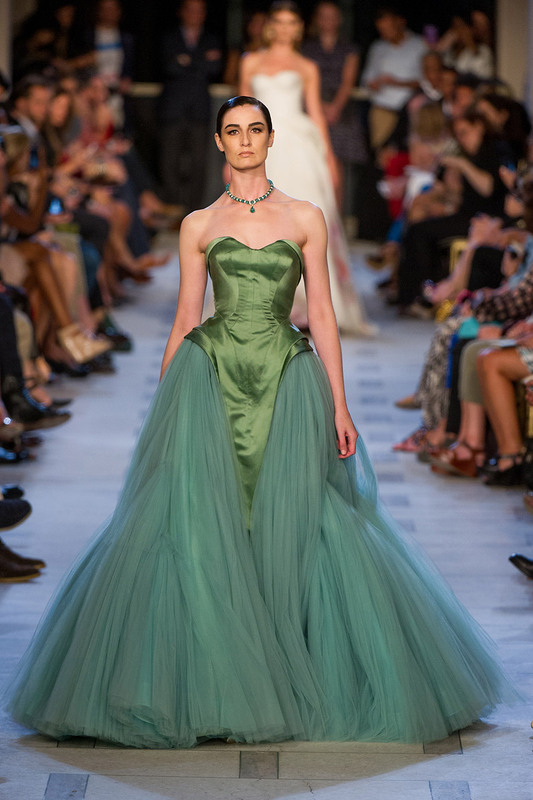 Zac Posen is definitely I designer to keep up with. Check out Target this April for a look at his designs.